Palermo is the largest neighborhood in Buenos Aires, with the most extensive green lung in the city, the area known as "Bosques de Palermo" or "Parque 3 de Febrero", which covers 740 acres between Del Libertador Avenue, Salguero, Rafael Obligado Avenue and Pampa, comparable to Hyde Park in London or the Bois de Boulogne in Paris. At the beginning of the XIXth century, Palermo was a site with farms and country estates. During the decade of 1830, the governor of Buenos Aires, Juan Manuel de Rosas, buys extensive plots of land and builds a colonial house and a religious chapel, in the intersection of the present avenues del Libertador Gral. San Martín and Av. Domingo Faustino Sarmiento. When Rosas is defeated in the Caseros battle in 1852 by Justo José de Urquiza, governor of Entre Ríos, the zone is completely abandoned and neglected. The colonial house is destroyed at the end of the century. 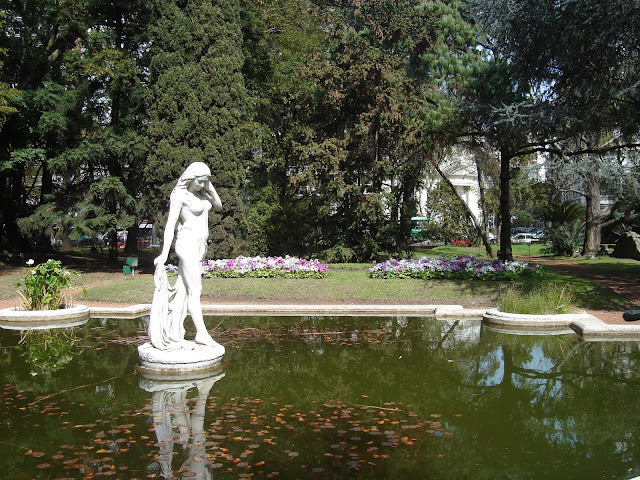 During the presidency of Domingo F. Sarmiento, in the year 1874, the "Parque Tres de Febrero" is created on those lands, in commemoration of the anniversary of the Caseros battle. At the same time, the Zoo and the Botanical Garden are also created. Some plots of lands are handed over to Argentine Rural Society for its annual cattle farming exhibitions, which take place every year up to these days; to the Argentine Racetrack, and to the Polo Association for the practice of these sports. In the XXth century, the construction of the Golf Course is permitted, as well as many sports clubs in the area, the Planetarium, the Islamic Mosque, the Velodrome, among others, which made the original "Bosques de Palermo" be reduced to less than half its original size. Hello, My friend and i are visiting buenos aires for a month and would love some advice on where to rent an apt. We are both in our late 20s and looking for a quiet laid back neighborhood that is close to public transportation. Any recommendation? Mario, Palermo Soho is a nice, quiet and laid back area, specially good for young people for the many bars, restaurants, and hip design shops. Depending on the area you will be closer to public transportation. Send me an email if you need more specific information.